At the beginning of time, there was the Island. It existed in balance with all things. 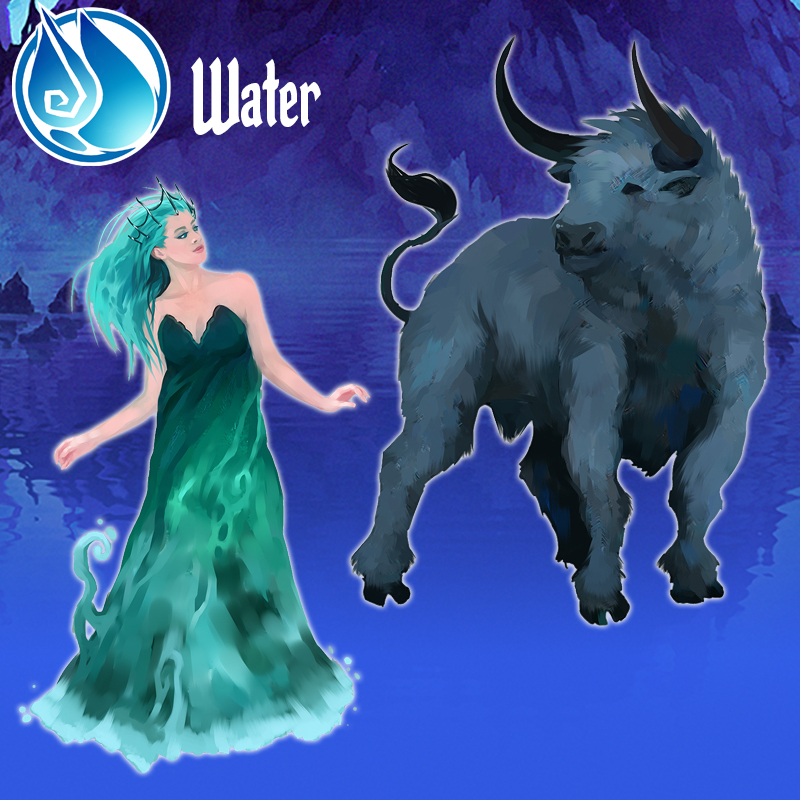 One by one Mythical Beings arose from the depths, created from one of the four Elements of Fire, Air, Earth or Water. 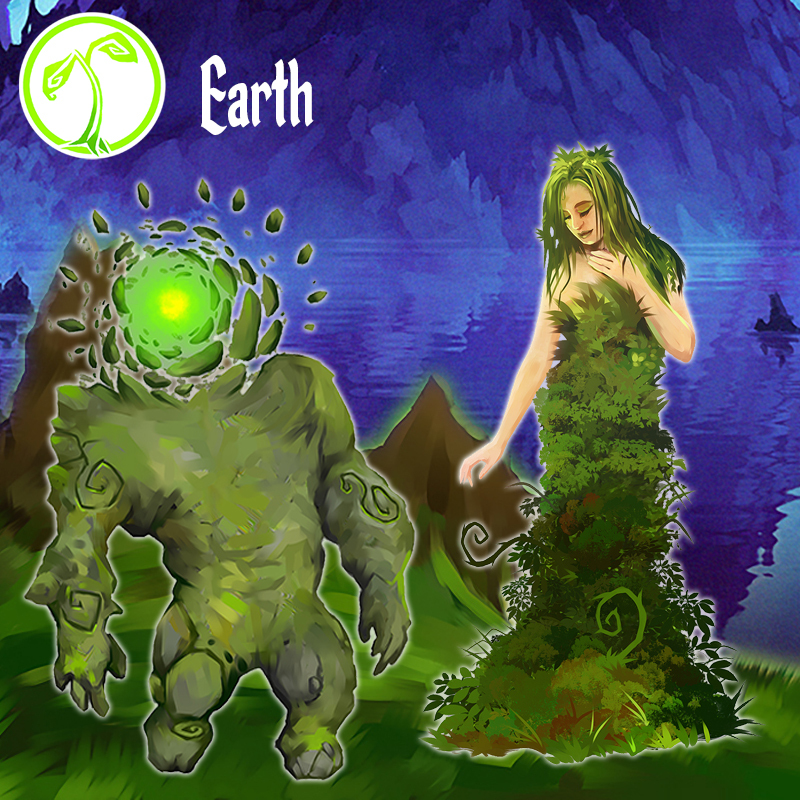 The Mythical Beings prospered, in harmony with the Elements and each other. 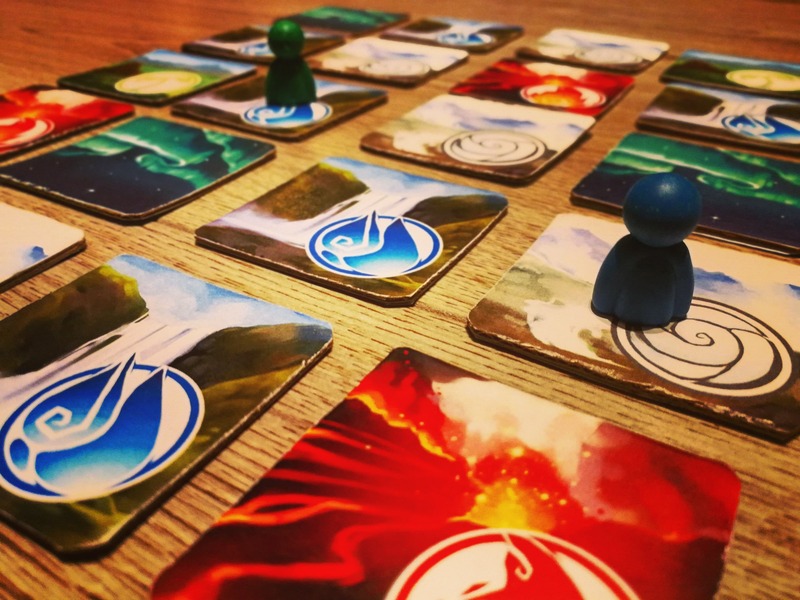 After eons, the Elements themselves became restless and chaotic, breaking the fine balance of the Island as each Element tried to conquer the others. The Mythical Beings were forced into hiding and elemental chaos reigned. 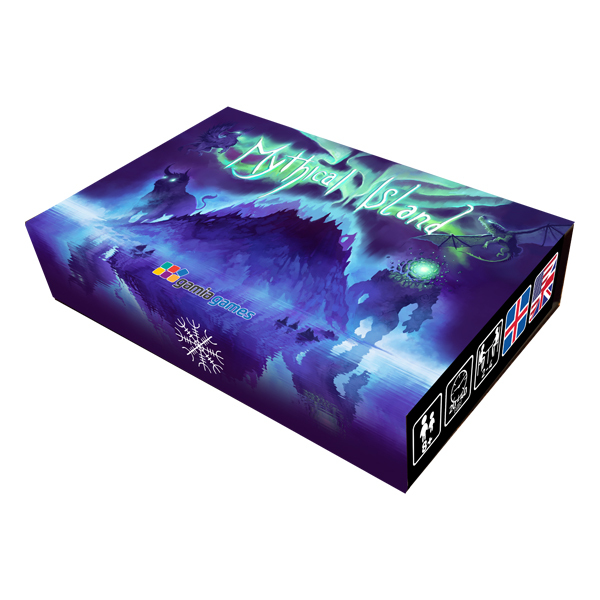 The very essence of the Island struggled against this violent chaos and as the Elements destroyed more and more of the Island and each other, it summoned its ancient power. In doing so the four Protectors were created to restore the balance of the Elements, so that chaos could never return. Their task was to calm and rearrange the Elements, enabling the Mythical Beings to return to Island and restoring the balance of all things. 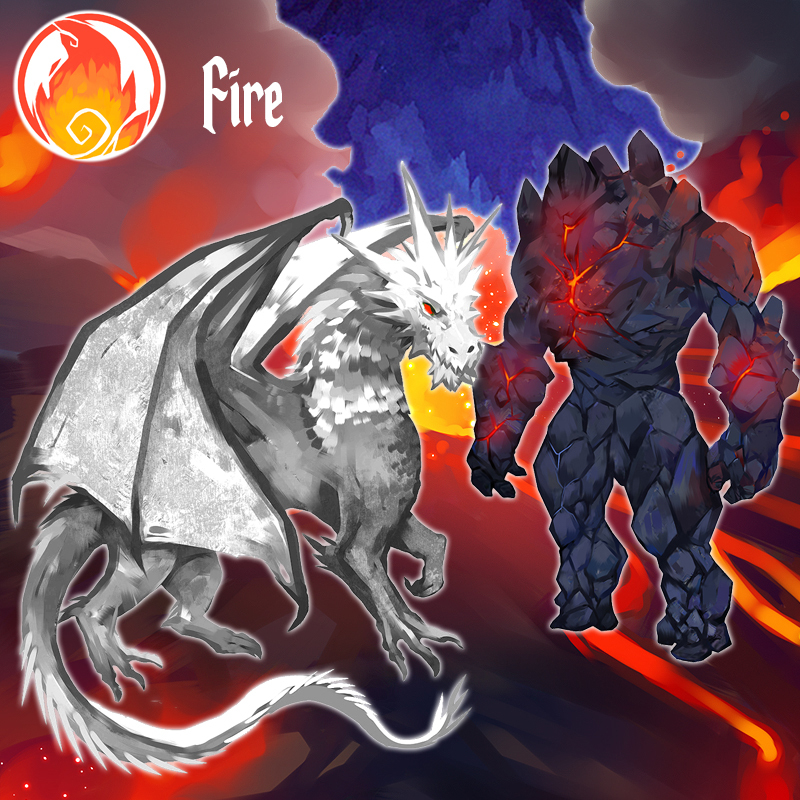 Each Protector was also tasked with becoming the lord of its Element and in the end only the most successful Elemental lord could become the ultimate Guardian of the Island. 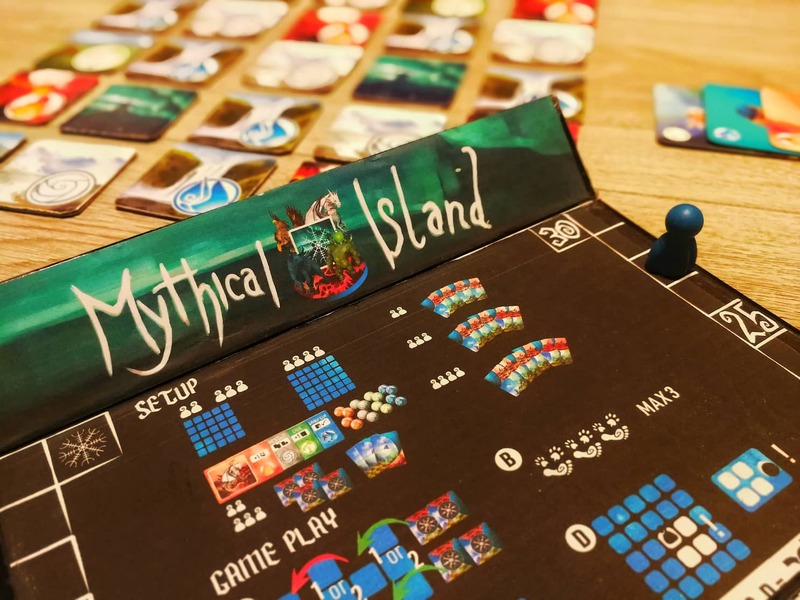 Mythical Island is a tile laying game for 2 – 4 players, age 8 and up. 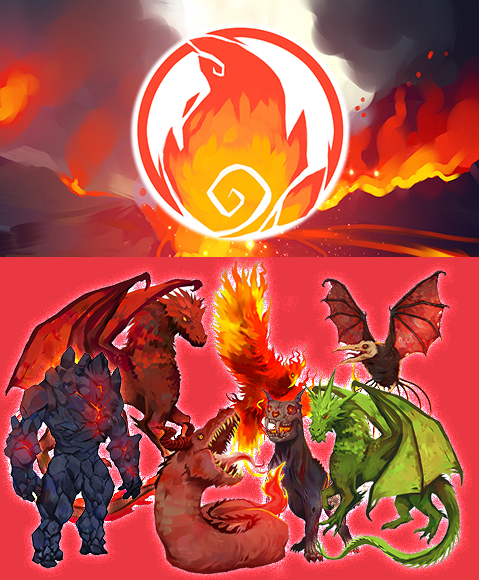 Throughout the game, players will draw Mythical Being cards that show a certain arrangement of the five different Landscape tiles. 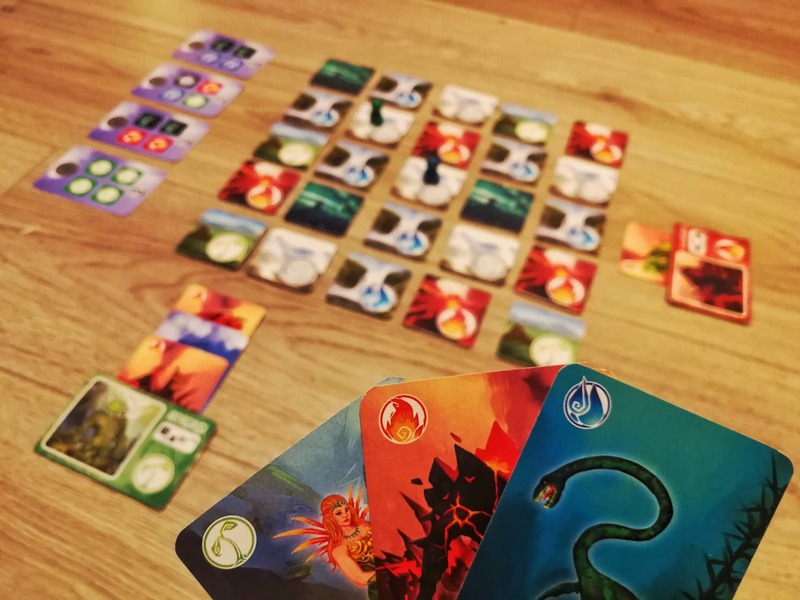 The players’ aim is to arrange the Landscape tiles on the table to create the pattern shown on the Mythical Beings’ card. Then players need to move their pawn onto a tile of this pattern to activate the Mythical Being card, scoring points that are counted at the end of the game. 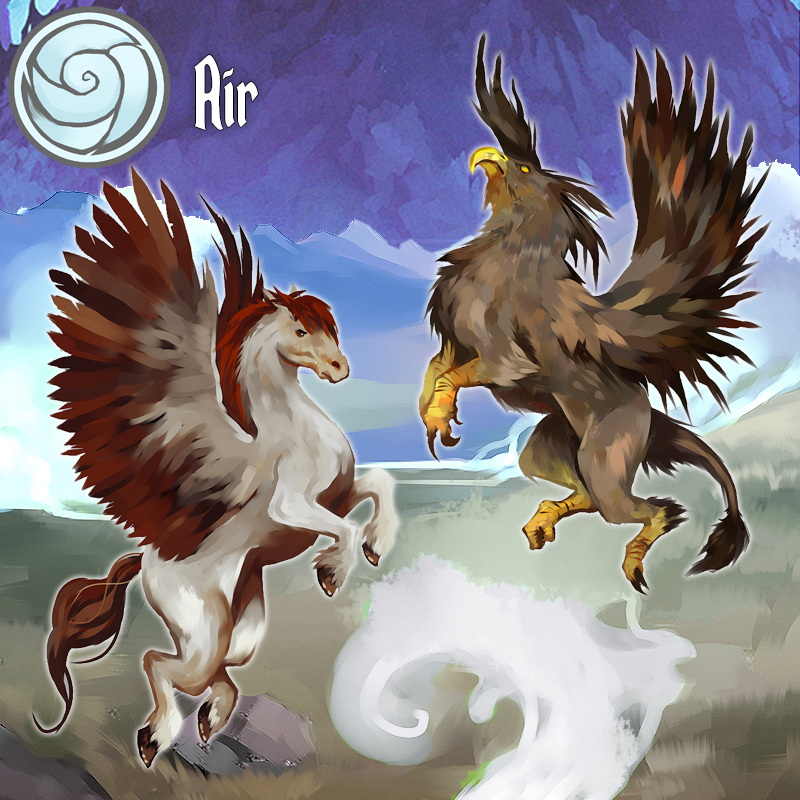 The game ends when any player has activated a certain number of Mythical Beings, according to number of players. The player with the highest score wins. 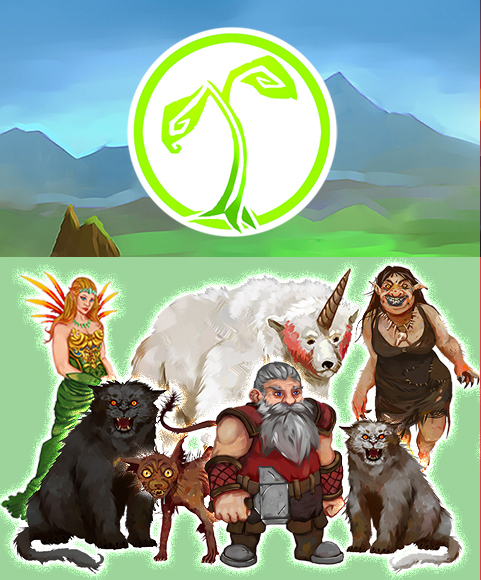 All Mythical Beings in the game are based on Icelandic & Nordic folklore. Descriptions and stories of each Being can be found in the separate Mythiopedia booklet. 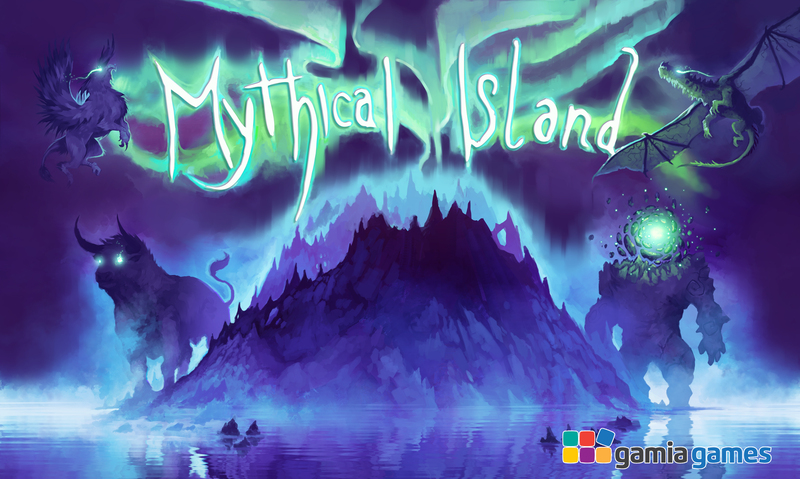 The Mythical Island is randomly generated by Landscape tiles at the beginning of the game. 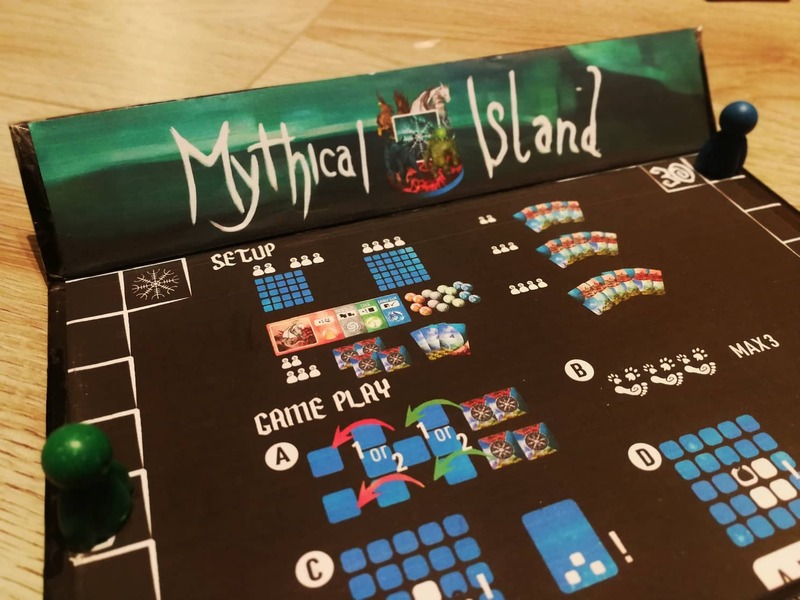 There are different setup of the Island, depending on number of players. If players choose, they can also set up the game as they want, as long as each side is at least 4 tiles high or wide. Therefore, the game can be modified to compact spaces. Each Landscape tiles also has an image icon of the element it belongs to. 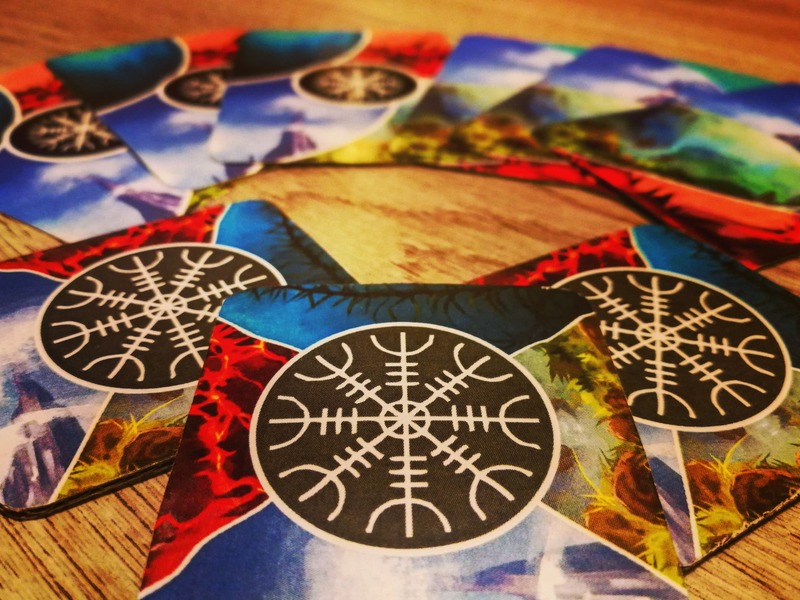 During the game, players rearrange these tiles so they match the pattern shown on their Mythical being cards. 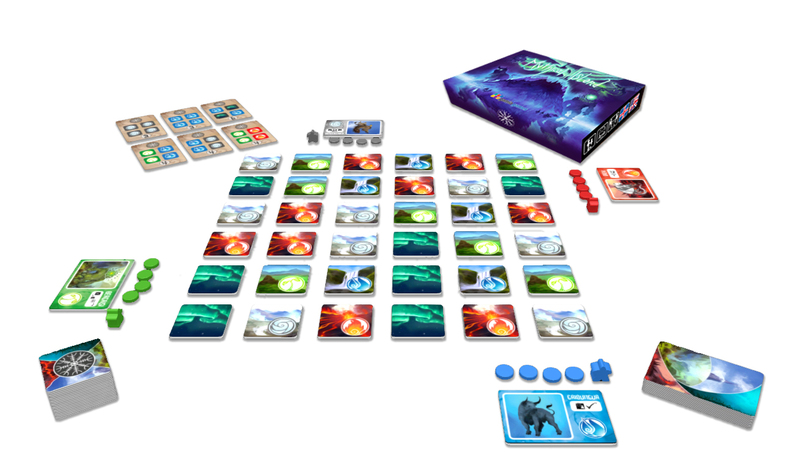 There are 8 different Protectors in Mythical Island, 4 double sided card board tiles belonging to 4 different elements. Each Protector has a unique ability that players can use during the game in their favor. 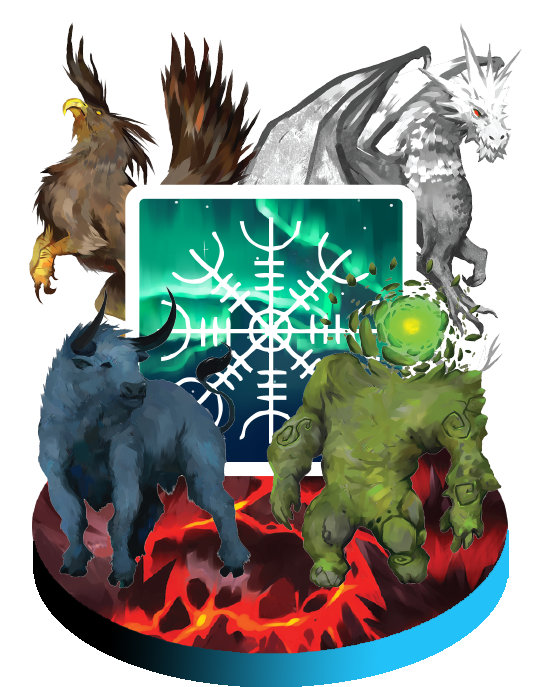 All the Protectors are based on the Legendary Protectors of Iceland, as seen on Icelands Coat of Arms along with some known Legends from history. 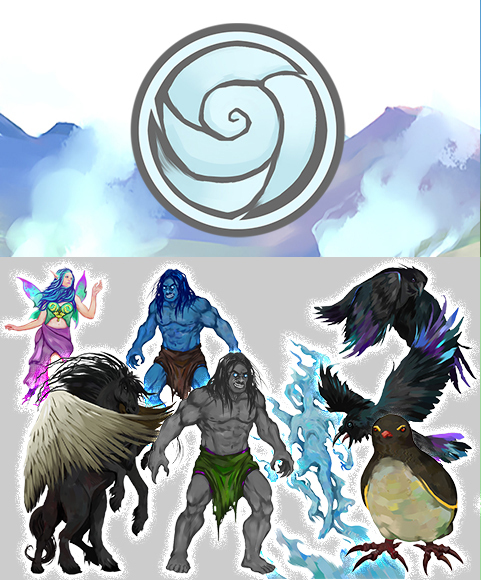 The Mythical being cards each have 7 beings within each element. All the beings are connected to Icelandic or Nordic Mythology. 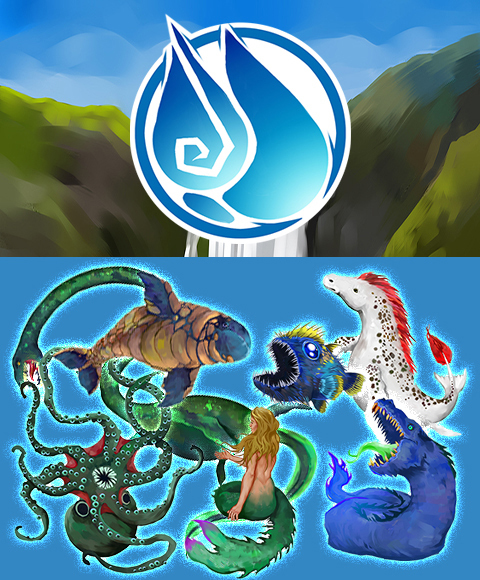 More information and a brief story about them can be found in the Mythiopedia booklet that is included in the game!